WATCH Who is Omarosa Manigault? As details of the book have emerged ahead of its release next week, White House Press Secretary Sarah Sanders issued a scathing statement calling Manigault Newman a “disgruntled former White House staffer” whose book is "riddled with lies and false accusations." President Donald J. Trump speaks beside Omarosa Manigault-Newman during a meeting on African American History Month in the Roosevelt Room of the White House in Washington, Feb. 1, 2017. Manigault Newman, who was famously known to have tried to have her wedding photos shot at the White House and enjoyed relatively unfettered access to Trump as his high paid assistant and a liaison to the African American community, is raising eyebrows with her insider –- yet unverified -- accounts of life in the Trump White House. 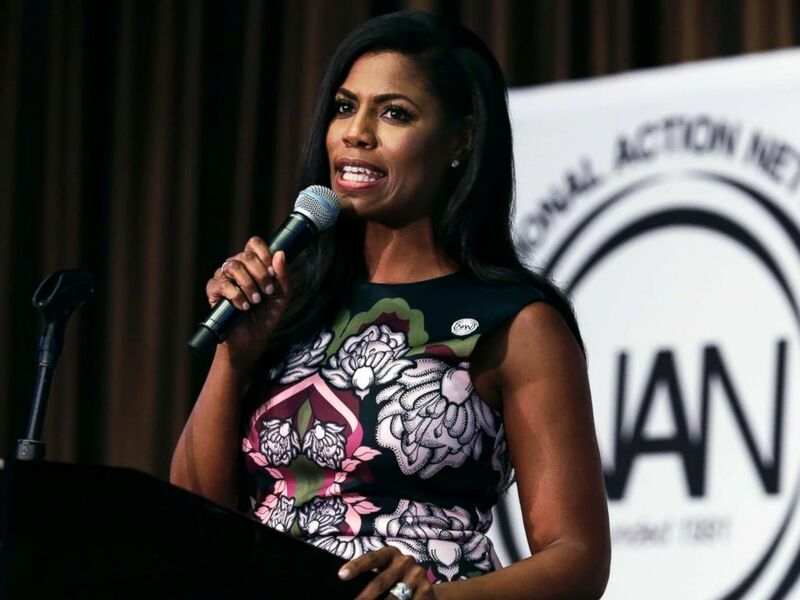 Omarosa Manigault speaks at the Women's Power Luncheon of the 2017 National Action Network convention in New York, April 27, 2017.